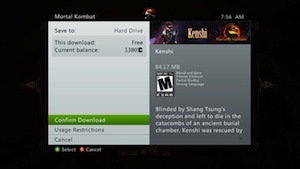 Some users have been having problems downloading the Kenshi and Skarlet DLC packs properly after purchasing the Season Pass option on the Xbox 360. 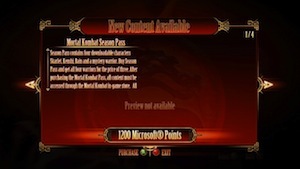 You must download the content from the game menus itself not the Xbox Marketplace, or else you may be charged again for the items. So please be sure follow the instructions below sent to us by Warner Bros to prevent being double charged for your DLC content after purchasing the Season Pass. 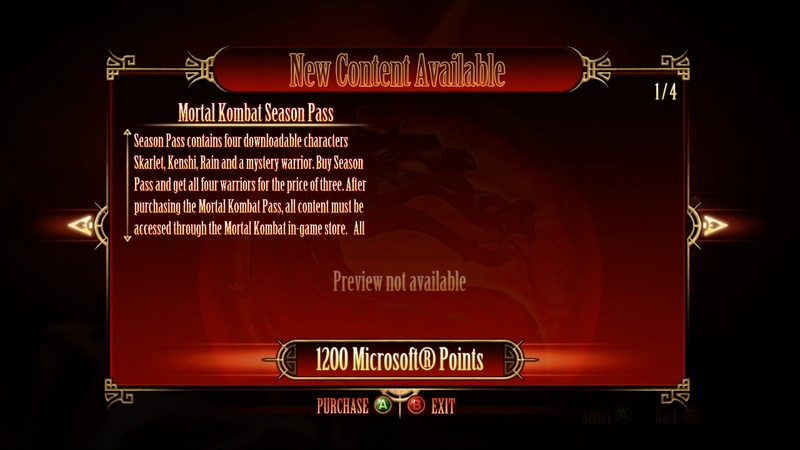 Thank you for purchasing the Mortal Kombat Season Pass on Xbox 360. 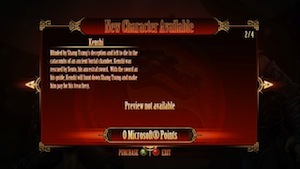 Once the Season Pass has been purchased, you must access all downloadable content using the menus within the Mortal Kombat game. WARNING: If you access DLC through the Xbox Marketplace after purchasing the Season Pass and not through the steps below, Microsoft will charge you full price for that item. 3. You will be presented with a list of DOWNLOADABLE CONTENT. Buy the Season Pass first if you haven't yet already. 4. Page through the menu to find the specific content you are looking for. 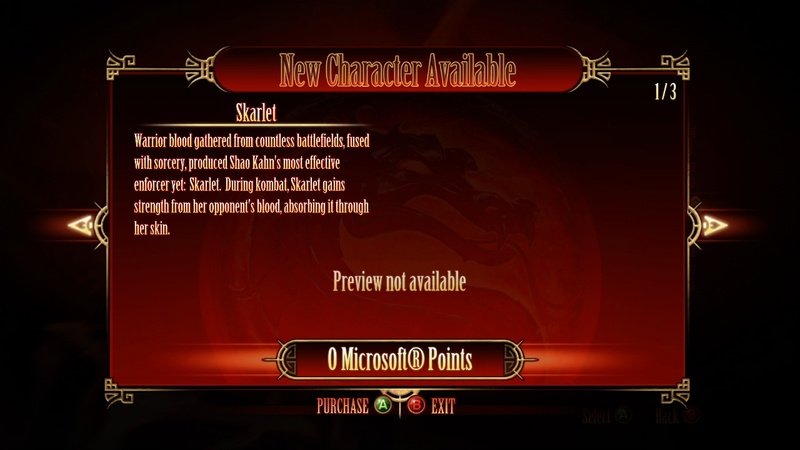 The Character DLC (Kenshi and Skarlet) should both show "0 Microsoft Points" to purchase them now. 5. 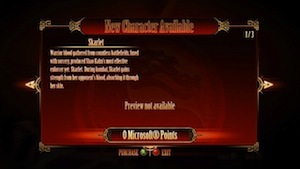 Follow the on-screen prompts to download your content. 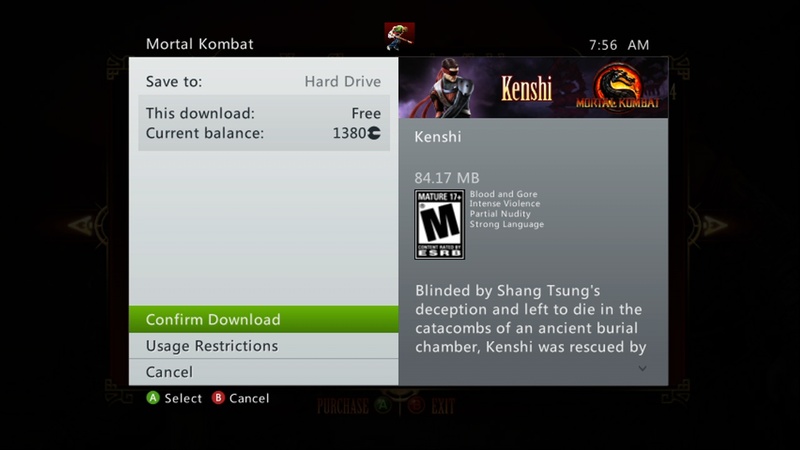 Make sure it says "This Download: FREE" as the screenshot does below. If you experience any problems with downloadable content or the Season Pass, please contact WB Games Customer Service Department by calling (410) 568-3680 or via email at support@wbgames.com. Hope this helps anyone with problems seeing charges for DLC after buying the Season Pass. 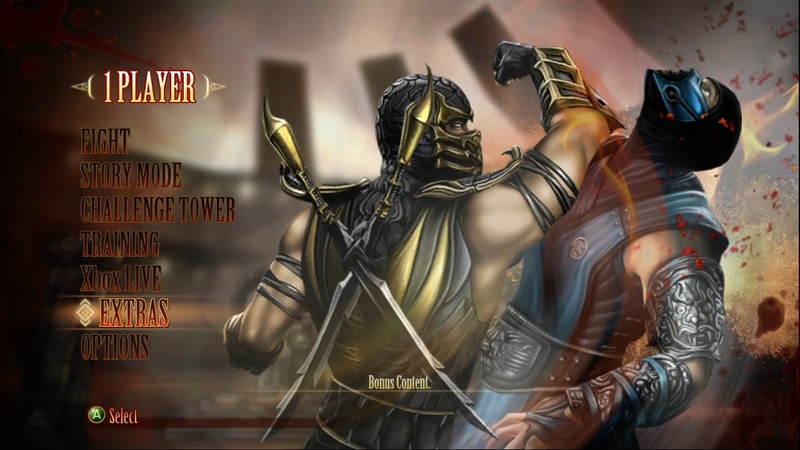 Update 9pm CST: We made some updates to the DLC Season Pass guide above with some screenshots and extra clarification. 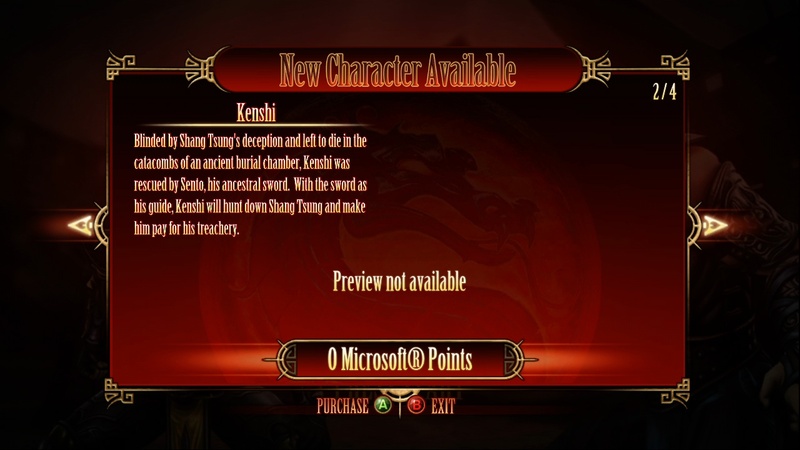 I just downloaded the second Compatibility Pack (with the Noob and Smoke classic outfits) and Kenshi was on the select screen. I know in the description it says to download the content through the game. I did and it worked fine. But I think it's absurd that they know downloading it straight from the marketplace causes problems and yet they still allow you to do it. Work-arounds are meant to be temporary and their existence alone shows that something is broken. Nice of this site to post about it. Information about MK is the reason I signed up here. 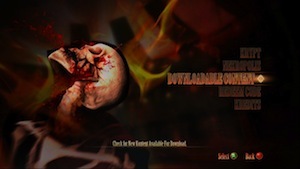 This has got to be the most troubled and glitched game of 2011. Thank God it's problems are, for the time being, overshadowed by a great core game.